Wash Pack - For quick and safe washing. Our very popular wash pack is all you need for the best wash under the southern cross. 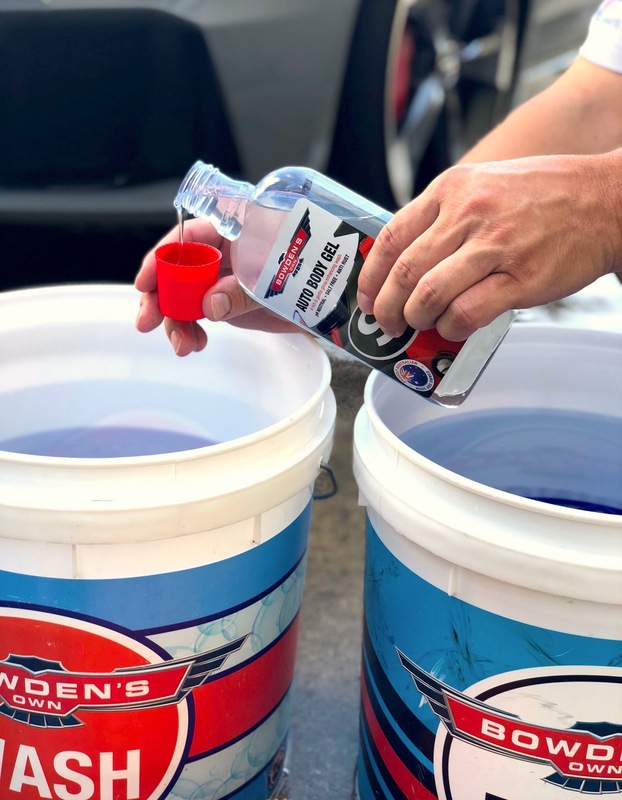 The highly regarded and salt free Auto Body Gel car wash, super lubricating and beautiful to use. 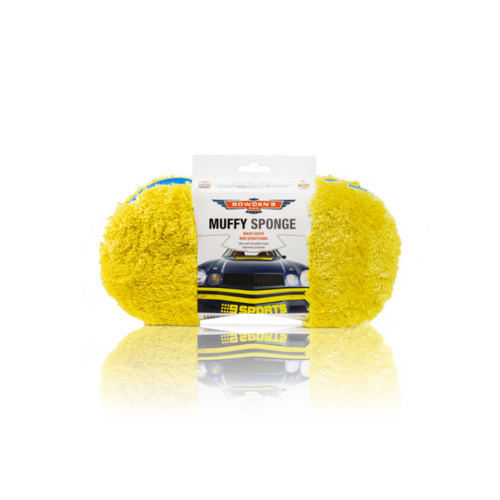 Our safe and soft microfibre sponge, to minimise the chance of adding swirl marks to your paint. Our awesome chamois that works! You save nearly $5 off the RRP when purchasing this pack. You also get our famous race car lollies, a print out of our Microfibre Field Guide and Flow Chart. I love my Muffy, better than the oppositions woollen mitt. - Mark A - Boronia, VIC. My experience of using your wash gel. Just letting you know just how happy I am with your car wash. I have been using other leading brands products for a long time know, I came to a tour of your collection a couple of months ago and listened to your explanation of your products and what nasty stuff is in others. 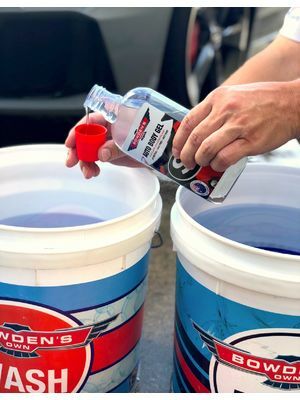 I was going to finish all the 'other' products first and make the switch to 'Bowden's own', but after using your free sample of the wash gel, that I received at 'Muscle on the Mountain' yesterday I have just thrown all the other leading brand products out and replaced them with 'Bowden's Own'. The reason is we have a 12mth old Subaru XV and had it treated with paint protection when new and the water was not beading like it should, I was going to give it a polish and wax with the other leading brands products, however using your wash gel the water is now starting to bead and the paint is smooth and conditioned. I think another couple of washes it should be as good as new. I don't drive this car everyday either it spends most of the week in the garage and only comes out on weekends. Thanks Bowden's Own! - Brad F - Brisbane, Qld. I love my muffy and your gel! Makes my ST Mondeo look awesome. - Josh F - Melbourne VIC. Just washed the XY ready for the Summernats family day with my car club on Sunday, looks great! Thankyou guys for such awesome products, which make even my XY's old original paint look amazing! - Mandy M. - Canberra, ACT. Never wouldn't recommend your products at work. Every time someone needs a car wash, I turn and smile. 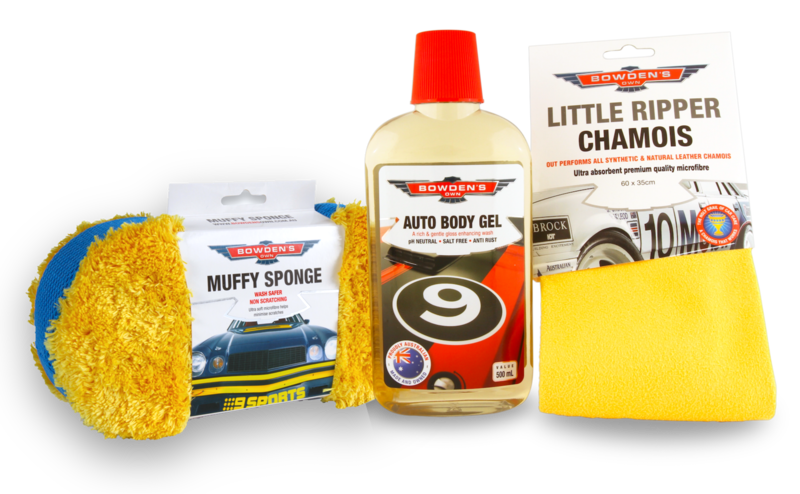 Best products around.- Jack M. - Sunshine Coast, Qld. Our popular Little Ripper out performs all synthetic & natural leather chamois.